They should help, long term. But a big charge contributed to a whopping $9.8 bln fourth-quarter loss at the conglomerate, whose top line also declined. Cost cuts and cash-flow gains buy CEO John Flannery breathing room, but the breakup option is looming increasingly large. 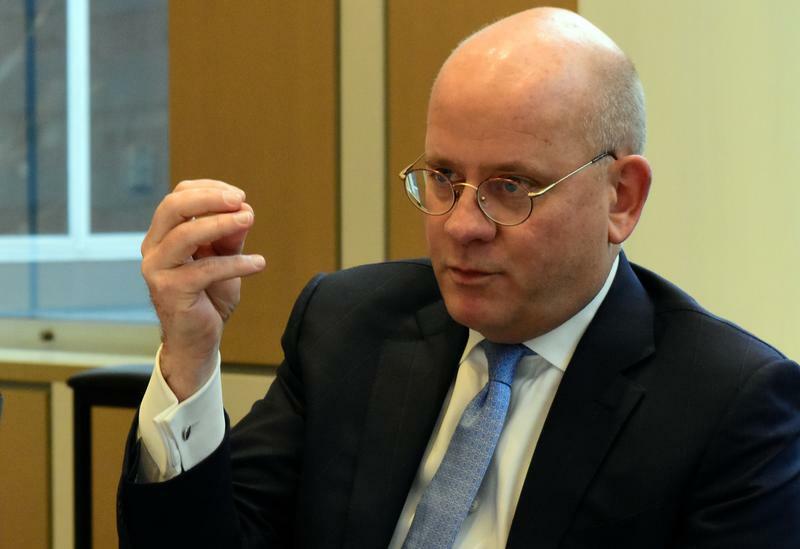 General Electric Chief Executive Officer John Flannery presents the company's new strategy and financial targets to investors at a meeting in New York, U.S., November 13, 2017. General Electric on Jan. 24 reported revenue of $31.4 billion in the fourth quarter of 2017, down 5 percent from the same period a year earlier. The company posted a net loss of $9.8 billion or $1.13 a share, compared with net income of $3.5 billion or $0.39 a year earlier. The results included a $3.5 billion charge related to the recently enacted U.S. tax cuts, largely reflecting a write-off or revaluation of existing tax credits. The company said it expected to have a U.S. tax rate in the low- to mid-20 percent range going forward. The results also included an after-tax charge of $6.2 billion for reinsurance losses, which GE disclosed on Jan. 16.